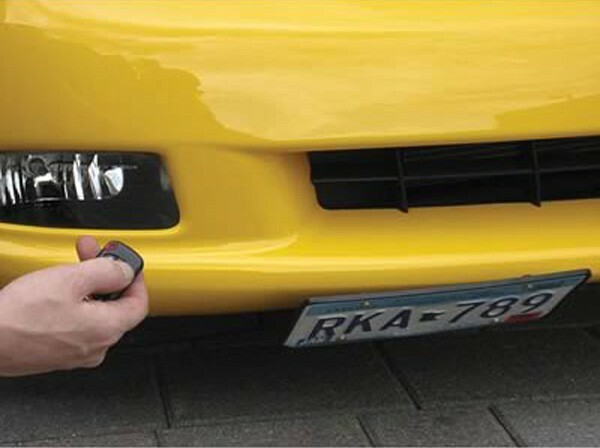 The Hidden License Plate kit lets you mount your front license plate with the ease of retracting it away when not in use or at a car show. How Does The Hidden License Plate Work? 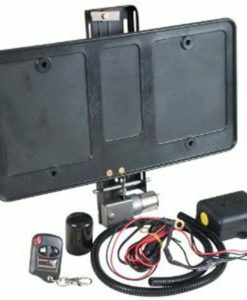 The electric hidden license plate kit lets you show and stow your front license plate with a push of a button. We all know how the front license plate looks terrible on beautiful show & sports cars. With this Hidden License Plate kit, you can now have your front license plate visible when you need it and stow it when your showing off your prize winner. The retractable license plate kit is a universal kit that fits many vehicles and enhances the vehicle aesthetics in the displayed or stowed position. Stainless Steel components and fasteners give for a long life robust design for a trouble free operation. The kit offers easy installation by the average auto enthusiast. If you’re interested in the Hidden License Plate frame, please call 773-583-3770 and speak to any of our specialists. This entry was posted in Blog and tagged Electric Retractable License Plate, Front License Plate Bracket, Hidden License Plate, Hidden License Plate Kit, Retractable Electric Flip License Plate Frame Holder, Retractable Flip Plate, Show N Go.